Join us for this special event in collaboration with GreenLove Elixir Bar. Reset your mind and body with our Reset and Restore class enhanced with essential oils before, during and after your session. During your 60-minutes on the mat, you will relax into different shapes so that you can release, lengthen and breathe deeply. You will be releasing into each shape for several minutes to encourage a deeper stretch and level of tranquility. Yoga blocks will aid you in this class so that you feel support instead of strain. Remember to bring your mat and a stainless steel or glass water bottle to infuse oils into. Reserve your mat for $15! Price includes oil infused water, oil diffused room, oil of choice to wear during session and intro to oils with @greenloveelixirbar. 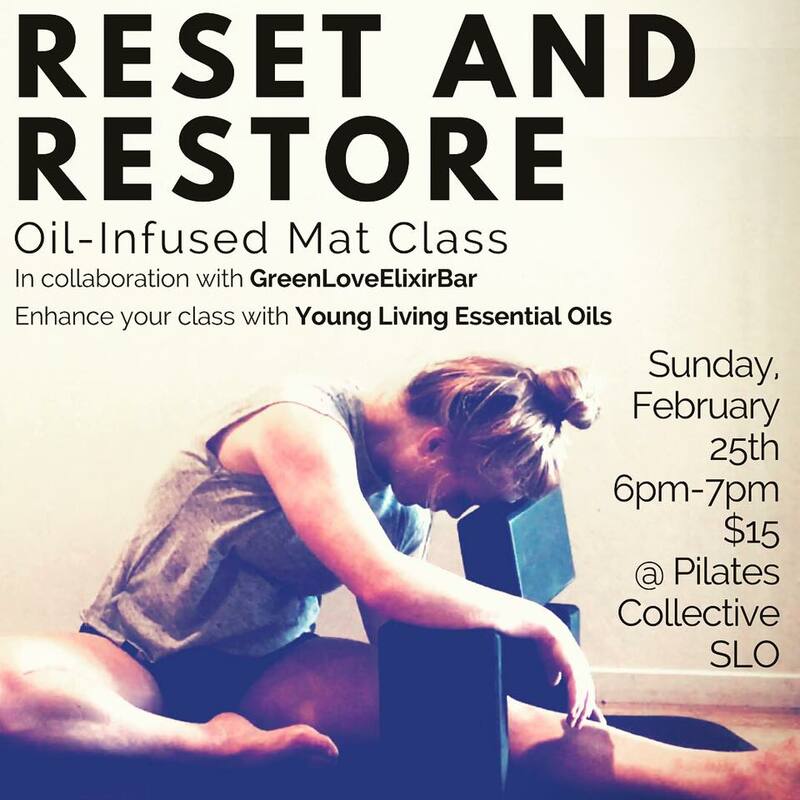 Customized oil rollers and spritzes will be available for purchase after class.